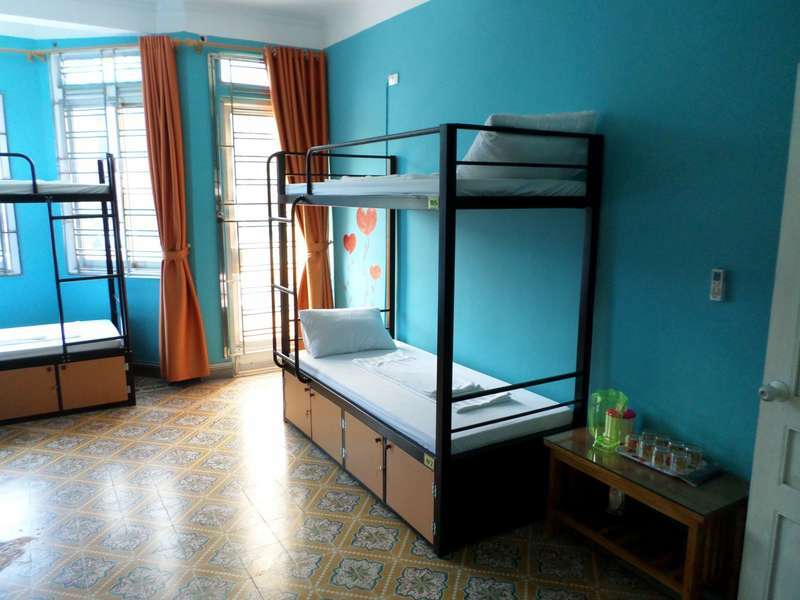 You will be staying at the new, cool, funky party hostel in the beautiful area of Halong Bay. We boast a large downstairs air conditioned common area with sofas, wifi, flat screen satellite television and the Halong Party Bar which is open from 12 midday till late. Get involved in the party atmosphere, over a few beers and some top tunes you will meet travellers from all over the world and start friendships that last a lifetime. The English speaking tour and travel team can inform you of our selection of Halong party tours, cruises. 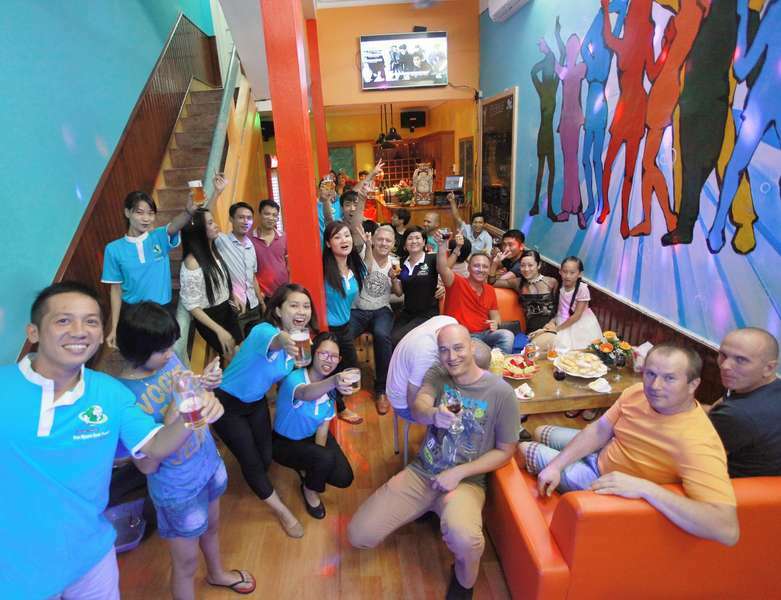 The British run team at the Halong Party Hostel will make your stay here in Halong Bay one of the best experiences you have in Vietnam. We have a maximum capacity of 32 people at our Party Hostel and are always busy so please make sure you book early. 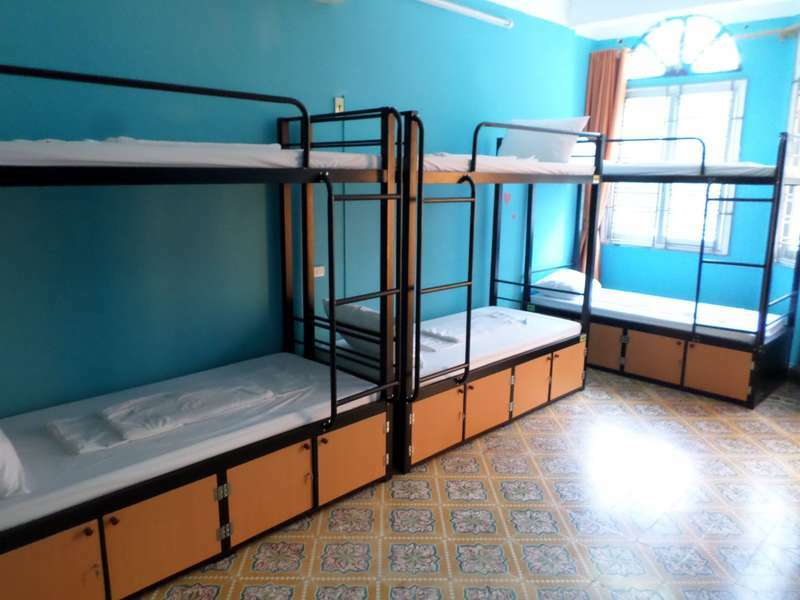 All of our 6 dorm rooms are air conditioned with fans and ensuite bathrooms. Book early to reserve a bed in the seaview dorms with balconies. The extra large custom made bunk beds have huge lockers underneath the bed with lock boxes to keep your valuables safe. Each of the dorm rooms has a Flat Screen Television with loads of channels available. By Tourist bus you will be dropped off at Bai Chay Harbour. We are a 3 minute taxi ride or a 15 minute walk for the harbour. You continue in the direction the bus was going and then turn left at the first roundabout and we are on the left side at 23 Vuon Dao, Bai Chay. If cancelled or modified up to 2 days before date of arrival, 15 percent of the total price of the reservation will be charged.